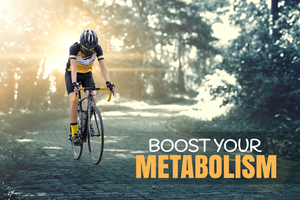 No doubt you’ve heard the word metabolism, but to truly understand what your metabolism is, the concept of “calories in, calories out” doesn’t even begin to cover it. While your metabolism is the process of converting calories to energy needed to fuel body processes, it also heavily influences your energy levels, weight, body composition, and even mood. Even when you’re at rest, your body needs energy for functions such as breathing, circulating blood, and repairing cells. The number of calories your body uses for these basic functions is known as your basal metabolic rate. Most people get a Complete Metabolic Panel as part of their yearly check-up. This test can give your healthcare provider valuable information about the current overall status of your metabolism, including the health of your kidneys and liver, as well as electrolyte balance, acid/base balance, and levels of blood glucose and blood proteins. What is included in this test?